Biosauna vision detox and emotional showers with aromatherapy and chromotherapy. Biosauna Detox Vison cromotherapy and aromatherapy temperature 40/45 degrees celsius, 60/70% humidity. 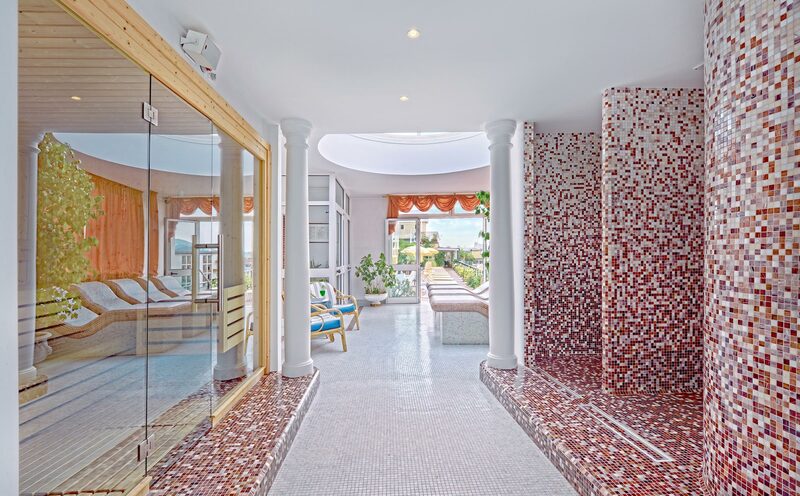 The benefits of the biosauna are of relaxation, a circulatory exercise that, speeding up the metabolism makes it possible to eliminate toxins, purifying the pores and leaving the skin glowing and smooth. 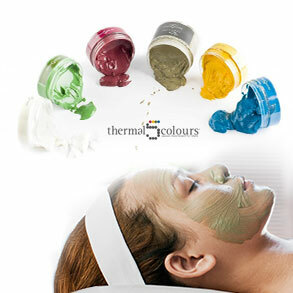 The treatment is performed with the beneficial use of chromotherapy and aromatherapy. Tropical rain: a shower with conical jet and large warm drops that pleasantly envelope your body, the light is orange and the perfume of the aroma is exotic. Amazon rain: large drops of warm water alternate with a light drizzle, for a natural massage, the light is red. Tropical thunderstorm: a stream of water with constant temperature, with variable intensity to reactivate body circulation, and simultaneously a green light turns on. Cold fog: a very fresh nebulized fog, accompanied by a pleasant perfume of mint and a mesmerizing blue light. 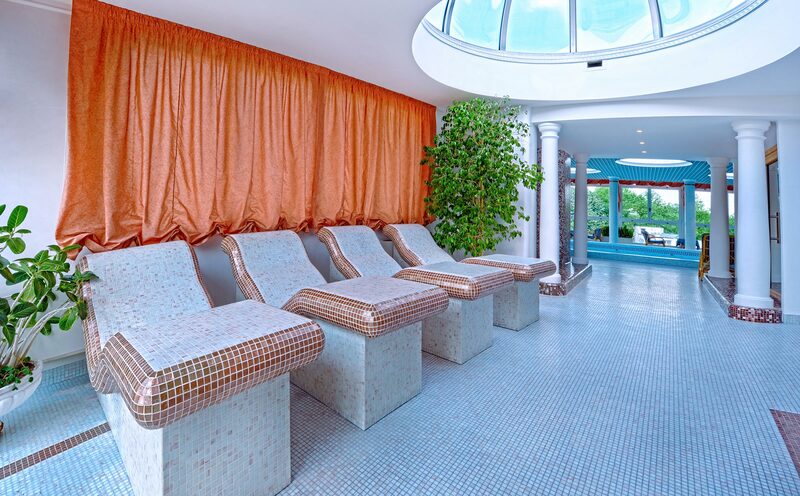 Chaise Longue Heated beds to complete the wellness and relaxation path with background music. 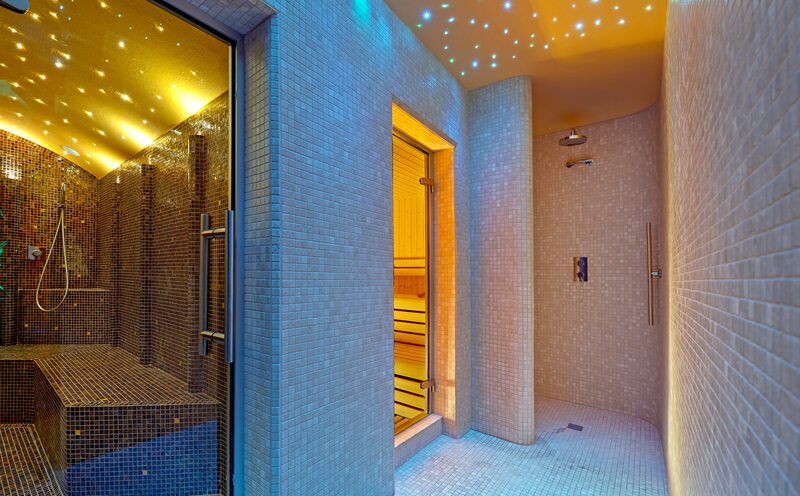 Turkish bath, Finnish sauna and Water Paradise path with starry sky, chromotherapy and aromatherapy. Hammam Steam bath with chromotherapy and aromatherapy. 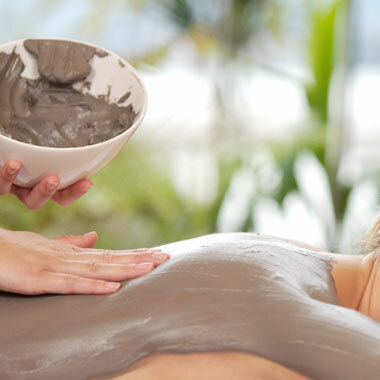 An ancient tradition with purifying and toning properties, a therapy to fight stress and muscular tension.The temperature varies between 50 to 55 degrees Celsius, with 100% humidity. Detoxifying sauna with chromotherapy and aromatherapy. A physiotherapy treatment that consists in a dry heat bath with a temperature of 75/80 degrees Celsius. It possesses the extraordinary ability to relax and detox, with positive influences on the body and mind. 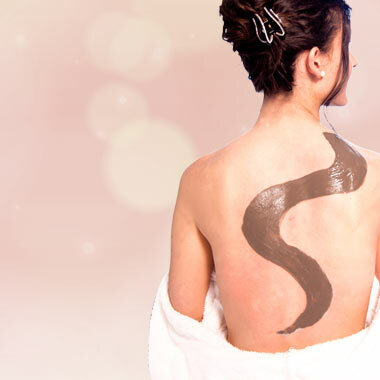 Aesthetically, you gain higher elasticity of the skin and a deep cleansing. It also fights imperfections due to cellulite. Jet set shower: Offers a combination of three different effects: rain shower, torrential shower, and side jets. They are driven by a mixer that allows you to choose the effect you wish, and also set the temperature for a general and customized massage. Lamellar waterfall: alternated hot and cold water wave. 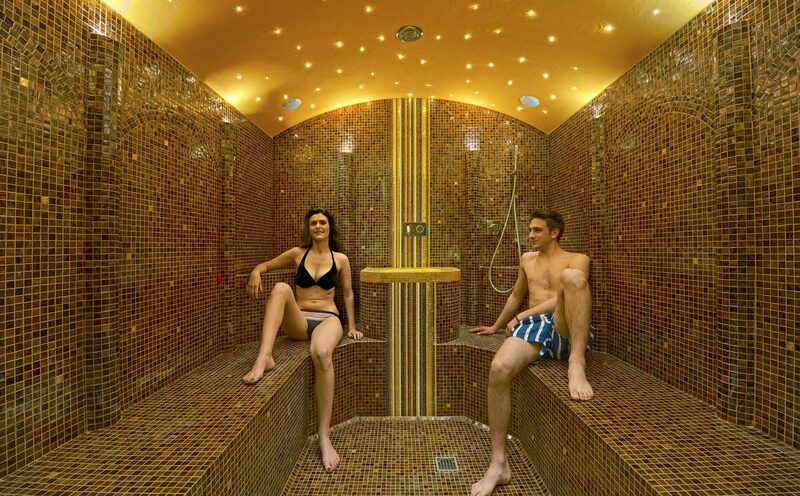 Kneipp path: the stimulating effects of hot water alternated with cold water generate a form of very useful circulation exercise for the blood vessels and muscles of ankles and legs. Equatorial storm: large drops of hot water and a pleasant exotic essence. Siberian night: refreshing shower of cold nebulized water accompanied by an aroma of mint. Water blade: an energetic massage ideal for the neck. Sensorial tunnel: jets of cold water alternated with jets of warm water for a beneficial and customizable body massage. Chromotherapy is a natural treatment of very ancient origins. It acts based on the functions and meanings of colors helping improvement and preservation, acting simultaneously on the physical, psychological and energetic well-being of the person. Colors are electromagnetic waves, each one characterized by a vibration frequency. They have two physical components: radiation (wave of length) and energy (vibration) capable of interacting with homeostasis, the set of processes that keep chemical and physical parameters stationery. They interact with the cells of the body, improving functions and maintaining balance. Color therapy uses light as an energy source to re-balance the person’s energy state. It works on the seven Chakras which are energy centers located along the central axis of the human body. Each has a meaning and a specific function to which the colors of chromotherapy correspond, aimed to treat physical, mental and energy imbalances. Chromocosmetics consists in applying color to the area of the body and face for an immediately visible aesthetic improvement. It is a new method that combines the properties of chromotherapy, aromatherapy and natural organic cosmetology in a multi-sensorial treatment program. In chromocosmetics, before the treatment it is necessary to identify the imperfections and the characteristics to select the correct color(s) to obtain an effective result: glowing skin. An experience of deep well-being that gives a sensation of harmony to body and mind. To reach complete well-being of the body and produce an effect on the physical, psychological and energetic plane, aromatic essences are one of the most important gifts nature has given us, as they interact in a comprehensive manner. Aromatherapy consists in the study and application of the therapeutic potential inherent in the essential oils derived from plants. They are extracted where the aroma concentrates: in the root, in the stem, in the leaves, in the flowers and in the fruits. Essential oils are classified by the olfactory impression that each one gives and must be 100% pure. Top notes: stimulates the mental plane with a refreshing and energizing effect. They are high volatile oils. Medium notes: intense and sensual aromas. They rebalance the physical and mental energy and act on feelings of affection. They are medium volatile oils. Low notes: they carry out a relaxing, stabilizing and sedative action. They are low volatile oils. To benefit from the properties of aromatherapy the applications are varied: diffusion, massage, cosmetic and internal, inhalation and compress. Essential oils have a very low molecular weight meaning they easily bypass the skin barrier and reach all areas of the body.